This is brought to you by your friends at MOVEON.ORG and the OBAMA CAMPAIGN WEBSITE. That is probably all we need to know. Traitors both of them to the Constitution. - W.E. St. Louis Mayor Francis Slay and Democrats held a gun control rally in downtown St. Louis Saturday afternoon. Only about 150 people turned out for the event. 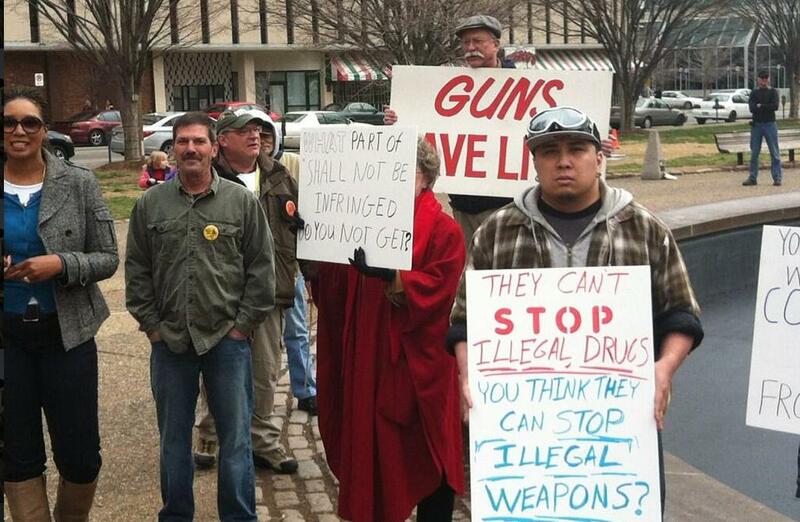 Several gun rights supporters held their own counter protest. Dr. Robert Flood , director of pediatric emergency at SLU, gave the keynote speech at the end of the rally. The good doctor urged supporters to call congress and turn your rights and sovereignty over to United Nations by supporting the Child Rights Act. Dr. Flood said the Children’s Rights Amendment would counter balance the Second and 14th Amendments used by gun rights activists. Flood also said he was not political but got his information from MoveOn.org and the Obama campaign website. Mayor Slay was standing behind the doctor during his speech.